Barbera is the most widely planted grape in Piedmont and that is because of its marked acidity that makes it perfect with any food. 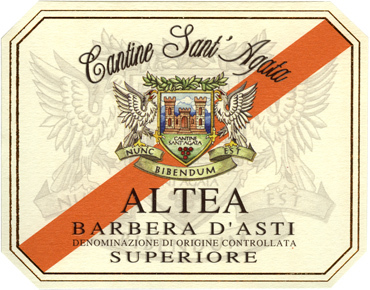 Named after the owner’s second daughter, Altea is a Barbera Superiore that offers good structure and body thanks to the subtle oak ageing. 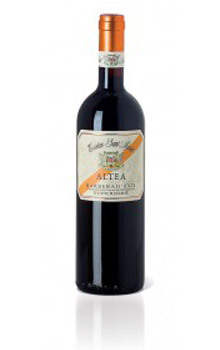 Ruby red in color with fruity aromas elegantly laced with chocolate and cherries. A dry, full-bodied and well-structured wine, ‘Altea’ is an ideal match for appetizers, rice, home-made pasta (especially agnolotti) and every variety of meat. Fermentation in contact with the skins for 10-14 days at a temperature of 28-30° C. Malolactic fermentation in stainless steel tanks. 80% of the wine is aged in 700lt-tonneaux for about 10/12 months. The remaining 20% is aged in French oak barriques of 225 lt. Then the wine rests for about 6 months before bottling.